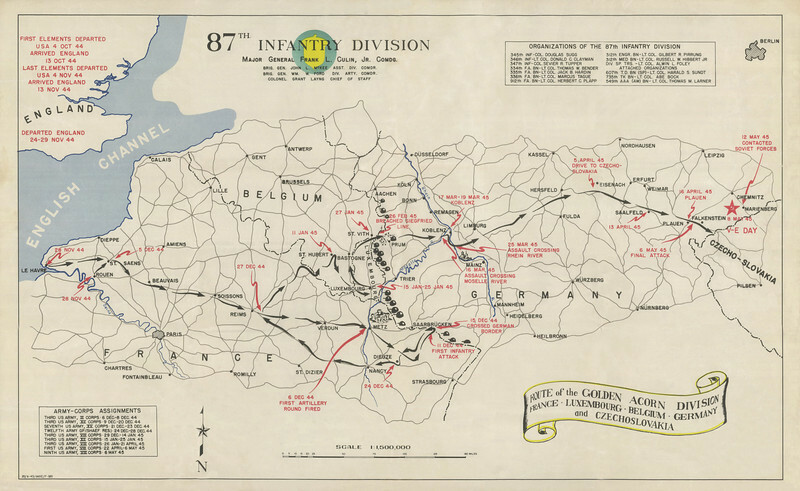 Campaign Map of the 87th Infantry Division in World War II. This image was contributed by Tim Townsend, son of T4 Anthony Townsend, 334 FA - Battery A. The original map was restored by a graphic artist who is a friend of Tim's.